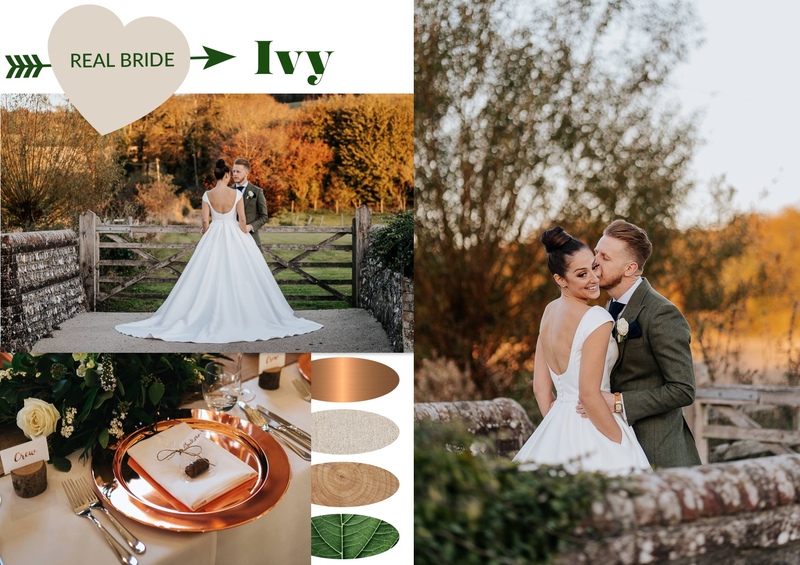 A Sussex Autumn wedding day, full of rustic charm, classic textures and the glam bride that is the beautiful Ivy. After finding her Essence of Australia dress within an hour, Ivy had bought it. "The pockets were the selling point for me!". 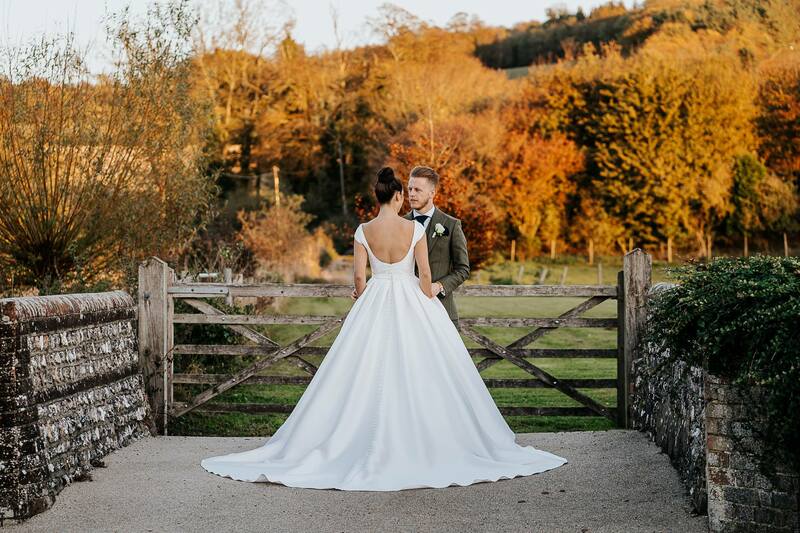 Ivy came to Delphine Couture to make it fit perfectly. 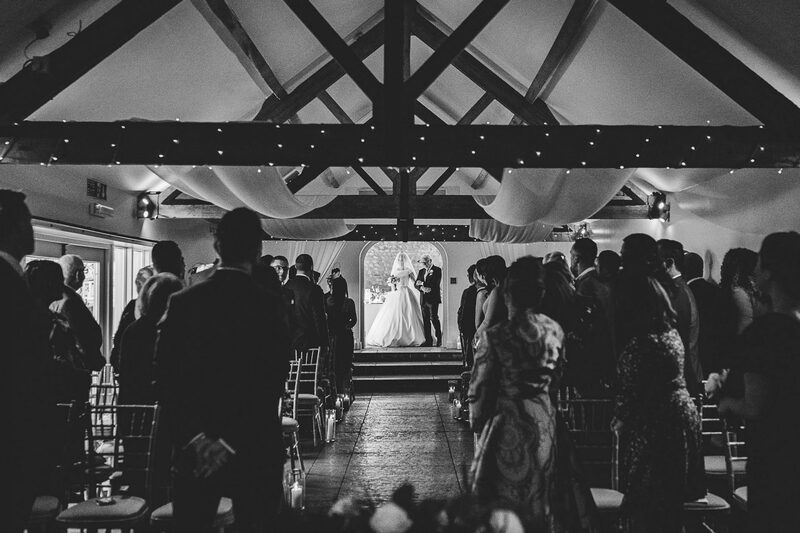 Ivy also had a veil that her mum had worn for her own wedding. 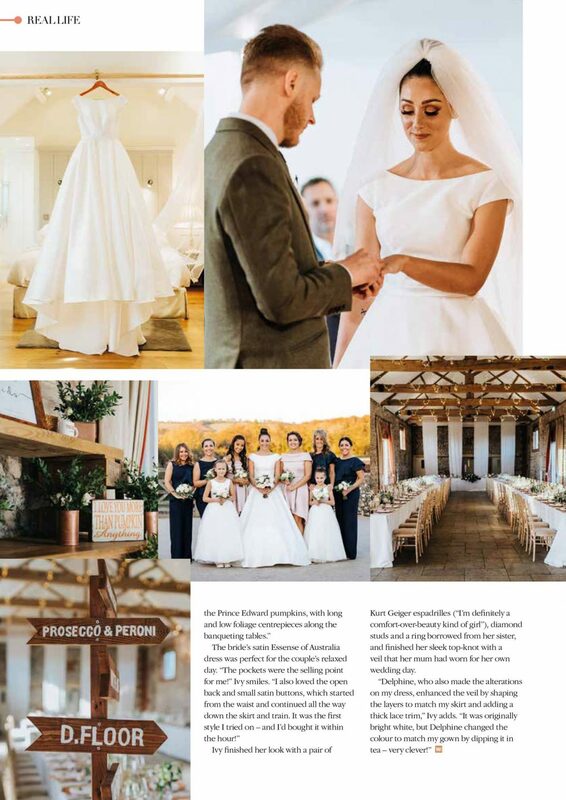 We enhanced the veil by shaping the layers to match the skirt of Ivy's dress, and we also added a lace edging to the veil. 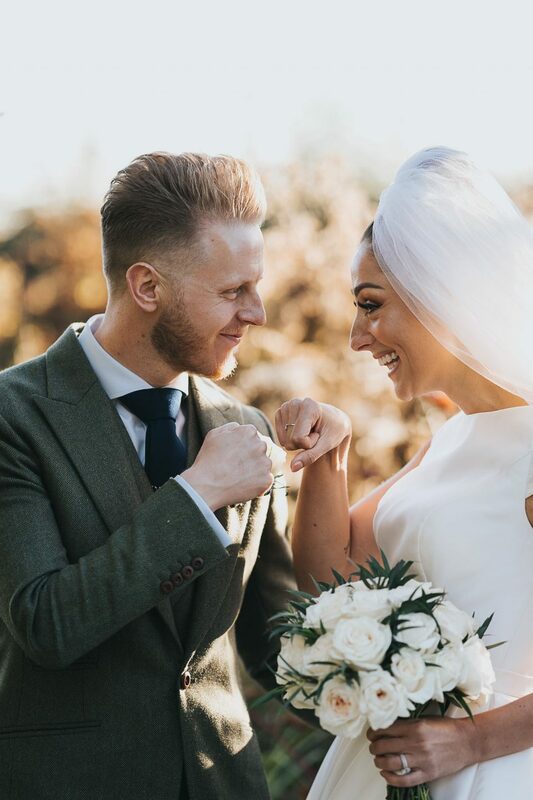 To match the once white veil to Ivy's dress colour, we even dipped it in tea. Et Voila! 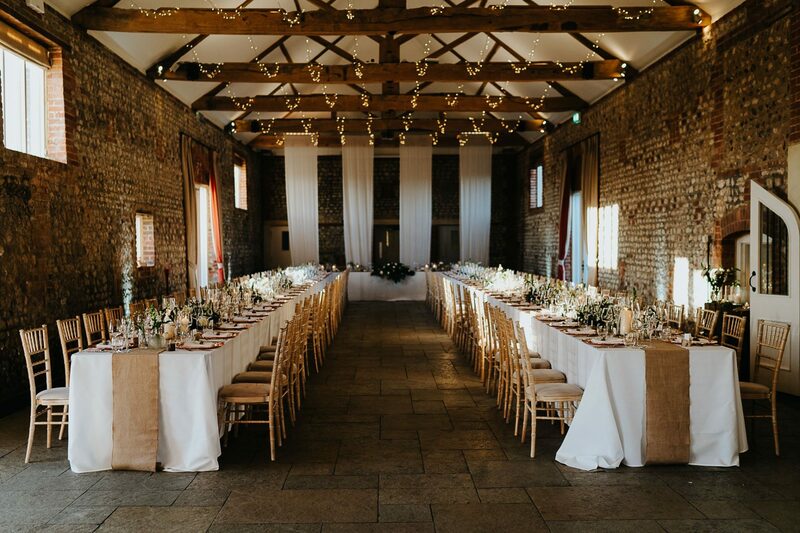 The couple booked Farbridge in West Sussex, a beautiful barn venue that was perfect for their autumnal theme. 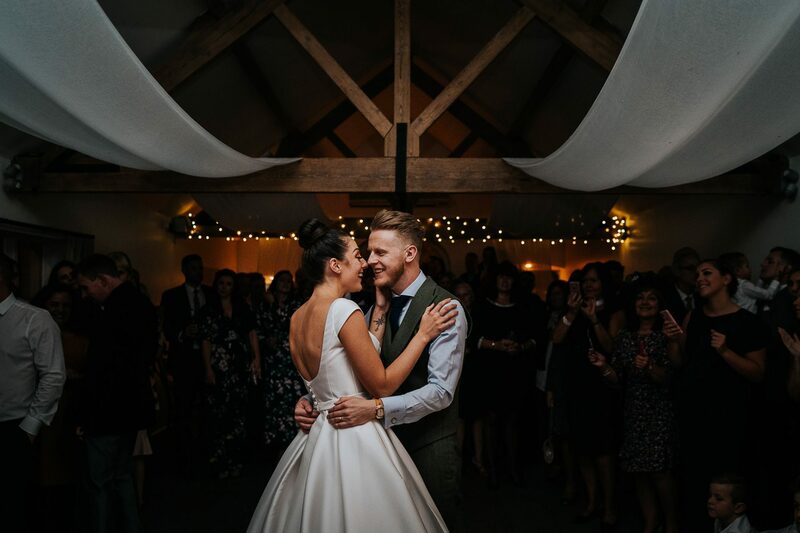 The space was filled with rustic details like wooden placeholders and pinecones, and complemented with modern and classic touches - copper tableware, copper framed signage, vintage suitcases and oodles of candles and fairylights. 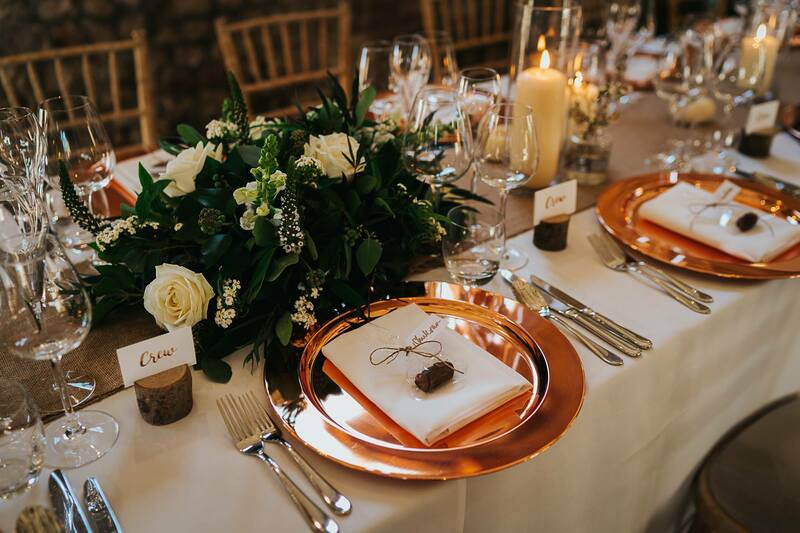 We love the classic combination of natural table linen, copper, wood and greenery and think the couple successfully managed to combine the best of classic-glam-rustic! 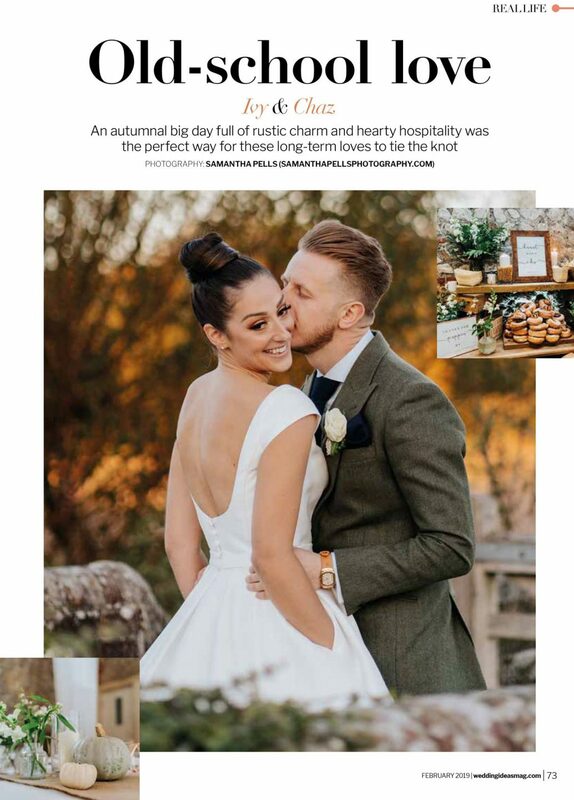 Ivy and Chaz's canapes were served with champagne, hot apple cider and pumpkin spiced Baileys on ice (ooh la la!). 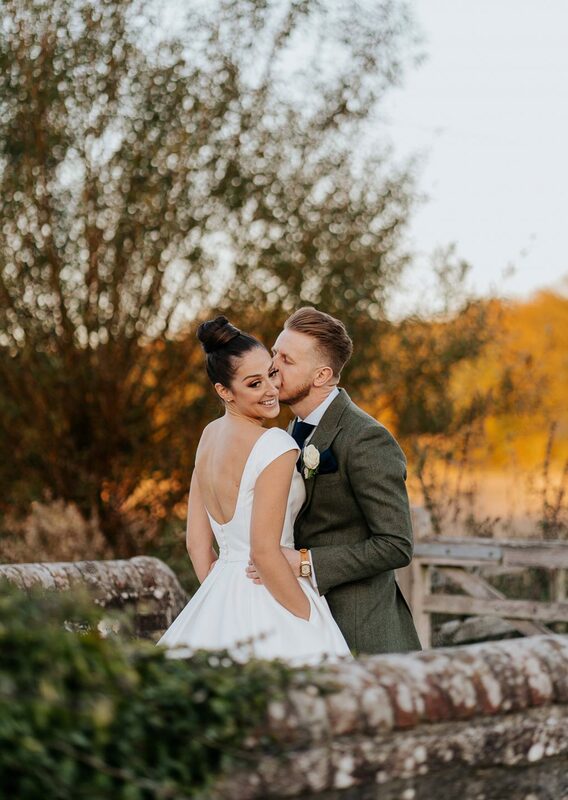 British dishes were at the heart of the couple's menu - sausage and mash, fish and chips, Ploughman's bruschetta and butternut squash soup - perfect for a crisp autumnal day! And to top it all off, in the evening they served bacon and egg sandwiches in true British style. Guests could also snack from a station featuring rosemary, salt and caramel popcorn and pumpkin apple cider doughnuts. Yes please! 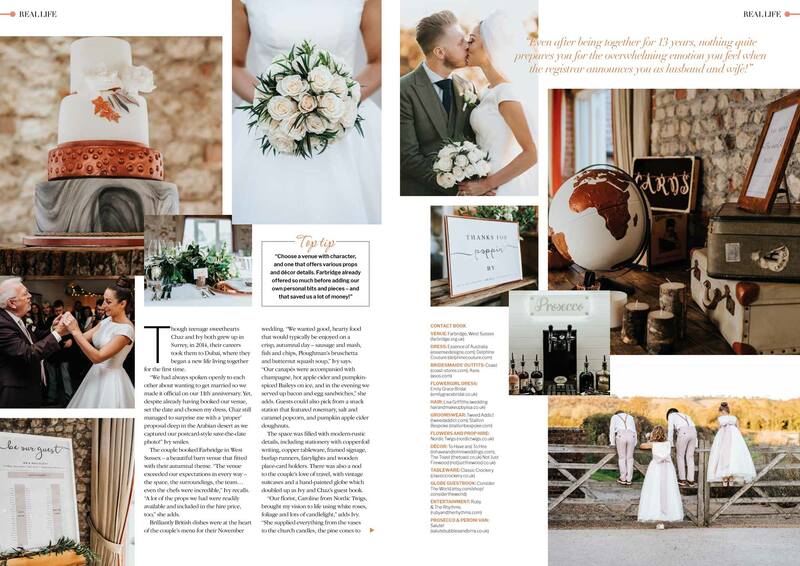 To top it all off, Ivy and Chaz's beautiful wedding was recently featured in Wedding Ideas Magazine and we at Delphine Couture are so honoured to have been included in the write up.